Canyon is a small town just South of Amarillo, in Randall County, on Interstates 27 and 87. The small population and rural area are two of the things I like about Canyon, Texas. 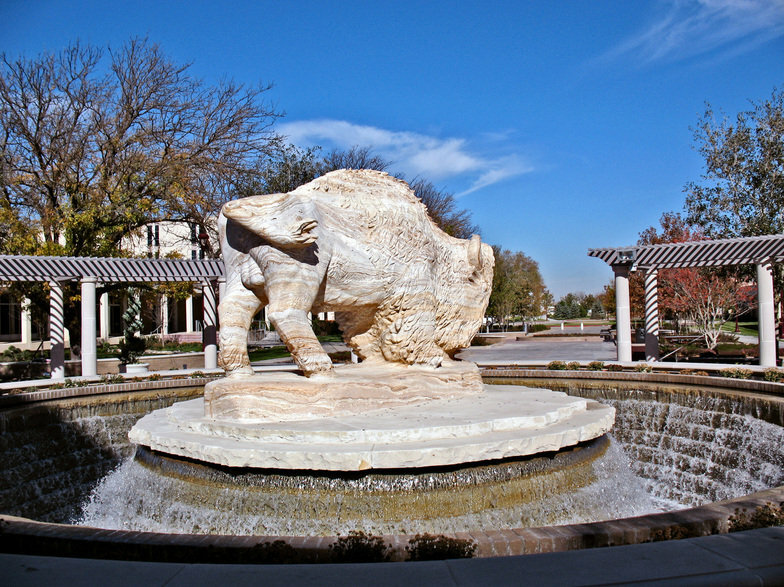 Although the community itself is small (just under 15,000 permanent residents), West Texas A & M University adds a youthful feel to the area and offers many activities for students and residents. Rent averages around $620. Houses are very affordable, with the average price for a single family home around $118,000. Unlike the rest of the state, the new housing permits in Canyon have shown a small increase for the past two years. The area is considered very safe and the schools rate among some of the top ones in the panhandle. One reason we like Canyon is it’s weather and variety of outdoor activities and parks in the area. In Canyon, you experience four distinct seasons and even in the heat of summer the constant wind keeps things dry and breezy. Palo Duro Canyon State Park is known as Texas’ version of the Grand Canyon. Located around 10 miles East of Canyon, it has some of the most spectacular natural scenery in the state. When we're in the mood for fishing, McSpadden Lake, only a mile and a half East of Canyon, is stocked with rainbow trout, striped bass and yellow bass. Right next to McSpadden Lake is Southeast Park, with hiking, biking trails, and a baseball field. Interstate 27 running North and South, and Highway 60 West, give us access to the rest of the state from Canyon. Canyon TX has safe streets, many outdoor activities, and friendly people. Traffic is never a problem, even around the university. All of these things make Canyon a great place to live, study and work.